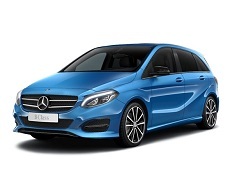 Correct Wheel Sizes, PCD, Offset, Rims and Tire specs for Mercedes-Benz B-Class series. Just want to know,how is the car a offroad,we stay on a farm? Hi,stef,Can you explain your question?is your car is a offroad? I need help to find equivalent, like is the chassis 107 is the same size of chassis 108 as regard steel rim? I was told steel rim 1970 Ford Galaxie or Ltd is same for my car? Hi,Ron Bochamp,For your rims,I can help you.If you can change rims,you'd better use alloy rims.You will have more choice.Such VW golf. I am about to replace the tyres on my 58 reg B200 CDi Sport (215 45R 17) I've chosen Nokiam Weatherproof (all seasons tyre), problem is that the nearest size is 225 45R 17. Is it ok (safe) to fit these on this size rim. I measured the rim width outside and it's 8" - so I guess it's 7-1/2 ?? Hi,Steve Brook,yes.225/45/17 can fit for your car. 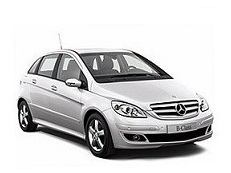 Can I fit 225/45 R18 tyres to my 2012 Mercedes B200 CDI Bluefficiency Sport (W246)? Hi, Ed Lawrie,No,it can't fit for. Can I reuse mags from my 2008 B200 (16 inch - 6J x 16 ET46? on my 2014 B250 that I just purchased. Need to buy winter tires anyways. Do they need to be 17 in? Is 225 mm width needed for the B250? Suspect that the mags are too narrow for 225 mm width -> need 7.5 in rather than 6 in. Hi,Gordon Christiansen,Normally,If wheels can fit forB200,it can also fit for 250.There have not a rules that B250 must use 17'' wheels,You can use 16'' and 17''.For tireswidth,you are right,If you want to use 225mm,You need use 7.5'' wheel width. I think the tires on it are 205/50R17. 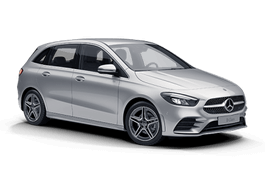 I have a 2011 Mercedes B200, with 205/55R16 snow tires & rims and 215/45R17 summer tire & rims, not sure if my 16" will clear the calipers on the 2018? Hi, no I have a full of both 16 & 17"